The Finest Decking in the World ... and a Clear Conscience! It's appearance is stunning - it looks more like a mahogany floor than an outdoor deck. Because it is so incredibly hard (7x harder than cedar) boards don't scratch, dent, pit or splinter. Natural oils and incredible density team up to yeild a typical lifespan exceeding half a century. This long life means it actually has a comparitively low cost of ownership over the long term compared to cedar, redwood, teak or composites. This lower cost of ownership comes by way of saving the labour and materials of replacing a deteriorated deck every 10-20 years. As with all naturally-grown products, the quality of Ipe varies greatly from one supplier to the next. Most companies rely on opportunistic buying from brokers or wood auctions to minimize cost and maximize profits. From our experience this results in inconsistent quality - sometime you get great batches and sometimes you don't - it all depends on the quality of the particular mill that the original boards came from. Some large Ipe suppliers actually run their own mills, which is very cost effective, but often leads to diminishing quality as they deplete the quality of surrounding woodlots. We take a different approach. We develop strong ties with specific mills proven to produce exceptional quality boards. We focus our supply from these select mills, then monitor their quality closely to ensure it doesn't fall over time. This approach takes a little more time and adds a bit to our cost, but the dense, richly coloured and beautifully milled boards we receive save us cost in the long run because we don't have to spend time dealing with poor quality loads and unhappy customers. We also source primarily kiln dried Ipe wherever possible. Kiln dried ipe tends to be more consistent in delivered width because it has dried and shrunk before being milled to spec, rather than the much more common air dried ipe which dries and shrinks after being milled to the specified size. Kiln dried ipe also doesn't shrink dramatically after installation on a deck, which is often an issue with air dried ipe. Board that shrink a great deal after installation will create larger gap spaces between boards, willl tend to stress or loosen fasteners, and have a greater tendancy to cup and bow. We've also found that the mills willing to accomodate the longer processing time and higher cost of kiln drying ipe tend to be the most quality-conscious mills, a key factor for us. The boards are dry so can be wrapped in plastic protection after manufacture which keeps them cleaner and eliminates any chance of water staining during transport or storage. Speaking of storage, this is another area that sets us apart. Most suppliers use a mix of indoor and outdoor storage, they load and unload outdoors, and store excess inventory outside. This leaves the boards either totally or partially exposed to weather, sun, fork damage and moisture flucuations. By contrast, from the moment the wood comes out of it's shipping container to the moment it's loaded for delivery to customers our inventory is always indoors. It is stored in organized racks, in a climate-controlled environment, with indoor loading and unloading bays. We have chosen the brand DiamondWood to set our strategically-sourced, kiln-dried, indoor-stored Ipe decking apart from our competitors who typically source their air-dried Ipe from whatever auction or mill is providing the lowest price, and store and handle it in whatever means is the most cost effective. Buy With a Clear Conscience !!! Here's where we really differ from any other supplier in North America. We tried to ensure that our lumber is from reforested stands, but to be honest that is an impossible task. The tropical regions where ipe grows are very unsophisticated - once a tree is harvested there is very little tracking of that specific log through to finished lumber. Also, there was almost no reforestation of Ipe in the period 20-60 years ago, so the reality is that there just isn't much (if any) high-quality reforested Ipe currently harvested. Now the great news ... being deck fanatics but also concerned environmentalists we got creative and developed a program to run alongside our Ipe business that actually increases tropical forest cover. 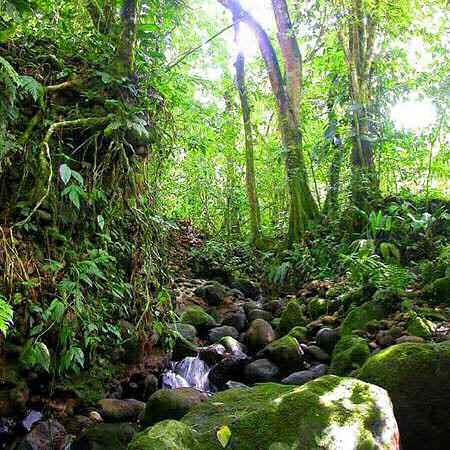 We hired, out of our own ipe profits, a company to reforest cleared farmland in the tropics. To achieve the maximum environmental benefit, we don't just have them replant Ipe but instead a natural mix of local tropical hardwoods (including IPE) so that these reclaimed forests remain natural, diverse and better suited to support the local fauna. We run this program out of our own profits so it adds absolutely zero expense to our customers. We do this because it brings us great pride in our company to prioritize responsibility over profit. 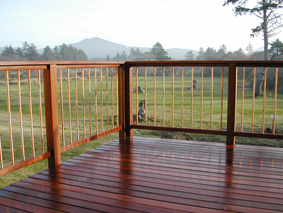 We also love the fact that our customers can take environmental pride in their new decks as they share and talk about them with their guests and families. If you have any further questions about our reforestation program or would like to know which species we replant and where, please give us a call - we enjoy chatting with our customers about this unique pride of ownership feature that comes with owning a DiamondWood Ipe deck! Full-pallet & bulk order discounts are available based on order size and length flexibility. Call for details. Although our $12.99 flat rate delivery fee does not apply to hardwood or tiles, our delivery prices are incredibly low (ex. Toronto GTA is only about 5 cents per lb, Vancouver is as low as 15 cents per lb) - call or email for a delivery quote. WE MATCH COMPETITOR'S QUOTES AND OFFER BETTER MATERIAL!! !